Yesterday Microsoft published a ~ 100 TB image update to Live Search Maps. And finally, we have bird’s eye imagery for Amsterdam, The Netherlands. Since I live in Amsterdam, you can imagine that I am pretty thrilled about this. 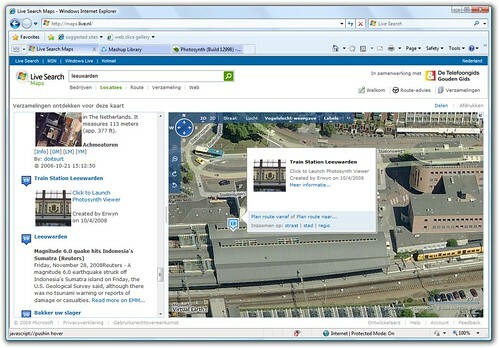 The platform that powers Live Search Maps is called Virtual Earth. It is a developer friendly platform that allows you to easily embed maps, aerial and satellite photography on your own web pages. The UI is customizable, so you are not stuck with what is provided by default. You can overlay icons, pictures and text on the map. 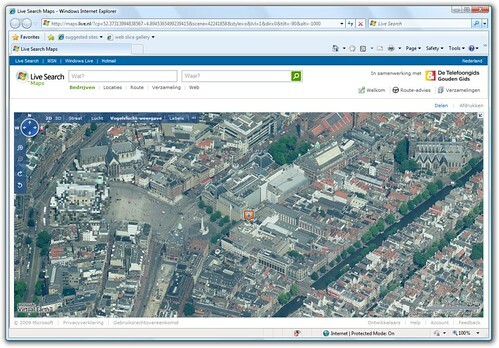 The Dutch version of Live Search Maps is an example of a site that is build on the Virtual Earth platform. It looks like the standard version, but it integrates with De Telefoongids en Gouden Gids data to locate people and businesses. If you live in the Netherlands this version is probably better suited for you than the international version. Check out how easy it is to use the Virtual Earth platform by using the Interactive SDK on http://dev.live.com/virtualearth/. 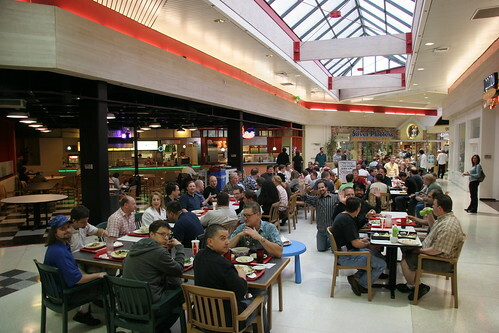 It is one of the Live Services that we provide. Check out the Virtual Earth Mashups Library to get an idea of what is possible with this platform. Posted in Microsoft, Photography, Virtual Earth on February 4, 2009 by Erwyn.